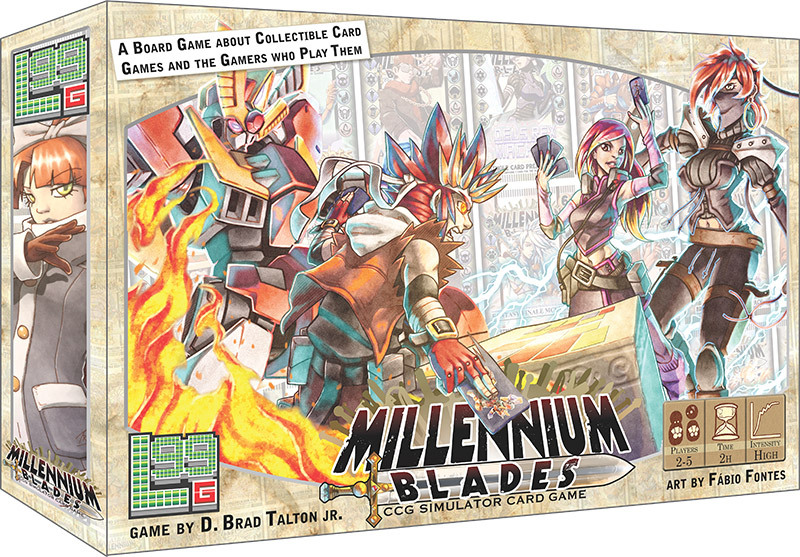 This Bundle includes the Millennium Blades Base Game, Set Rotation, and the Game of the Millennium Upgrade Pack. It's no secret that Millennium Blades is the best game we've made in the past thousand years! Now you can celebrate this momentous occasion with the Game of the Millennium Edition! The Game of the Millennium Edition Upgrade Pack provides an alternate box cover art for the game, in the form of a box wrap (which can be easily removed). It also comes with 12 Alternate Art Character Cards, featuring the 12 gamers from the base game, Set Rotation, and the Card Fusion Promo Pack!